With vacuum maker iRobot looking to sell user's house maps to smart home vendors, an AppleInsider reader asked Apple what it planned to do with data collected by the HomePod's room mapping technology. Unsurprisingly, Apple confirmed it has no intention of saving or sharing information about a user's home layout. Following iRobot's CEO declaring that he was looking to sell collated data from the automatic robot vacuum Roomba, a user reached out to Apple to see what it had in mind on the same topic. 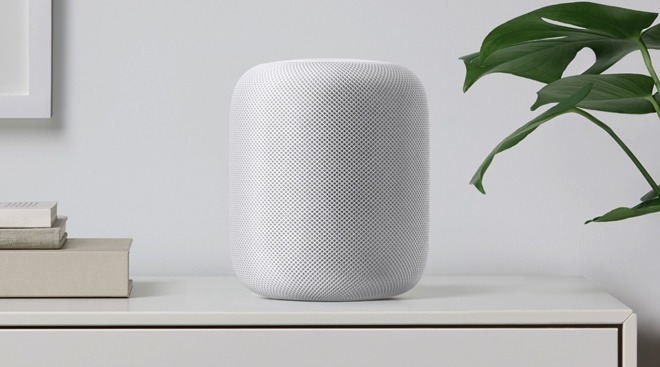 The user was concerned because Apple advertises it will use room-mapping technology to automatically tailor the HomePod's audio to fit the space. "No information is sent to Apple servers until HomePod recognizes the key utterance "Hey Siri," and any information after that point is encrypted and sent via an anonymous Siri ID. For room sensing, all analysis is done locally on the device and is not shared with Apple." Reaching out to Apple for more data regarding the statement and to confirm its authenticity, AppleInsider was told that there was "nothing at all new here" and there is no change to the company's privacy page for Siri and hardware. The privacy page states clearly that it does not collect and sell user data gleaned by Siri or other services. 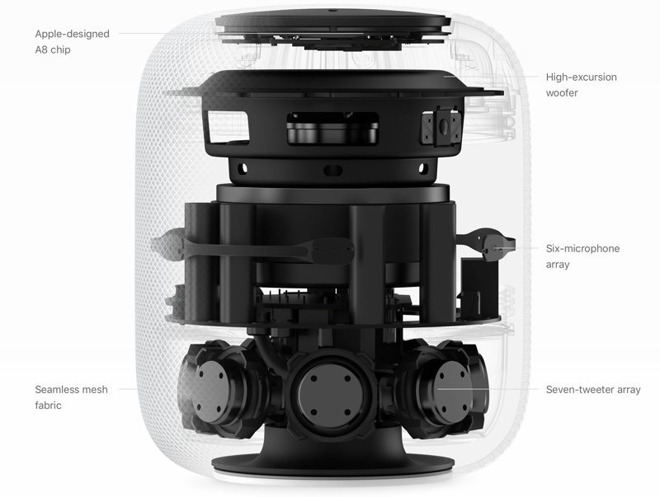 Apple's HomePod uses the microphones to listen not only to the user, but to the audio being played in real-time. The A8 analyzes not only the sound of the audio in the room, but "time in flight," telling the device where each wall or sound-reflecting object is in the room, and adjusts the output accordingly based on this data. While not quite the same as how a Roomba can map a user's floors and furniture, it's still some general idea of how a person's home is laid out, or how large it is. Unlike Apple, which plans to keep any home data stored on the device itself, Roomba collects and stores information on a user's home not only to improve its products, but also with the possibility that it could share and sell it in the future. Roomba builder iRobot believes that the data could be of interest to Apple, Amazon, and Google to improve the data sets utilized in home automation software and services, or to suggest a new product to fill a service gap. To boost its bottom line, iRobot has started looking for customers willing to pay for that data. As detailed this week, the 900-series Roomba automated vacuums measure the dimensions of a room, as well as furniture orientation, size of the devices, and where they are located in the room. This is accomplished by simultaneous localization and mapping (SLAM) technology. Apple's $349 HomePod was revealed at the 2017 Worldwide Developers Conference and will ship in December. The speaker is powered by an Apple A8 chip featuring realtime acoustic modeling, audio beam-forming, and multi-channel echo cancelation. It features a subset of Siri, optimized for music consumption.